After my SSSK socks, I needed something else fun and colorful to knit. So I dug into my stash and came up with this fun yarn by Berroco. 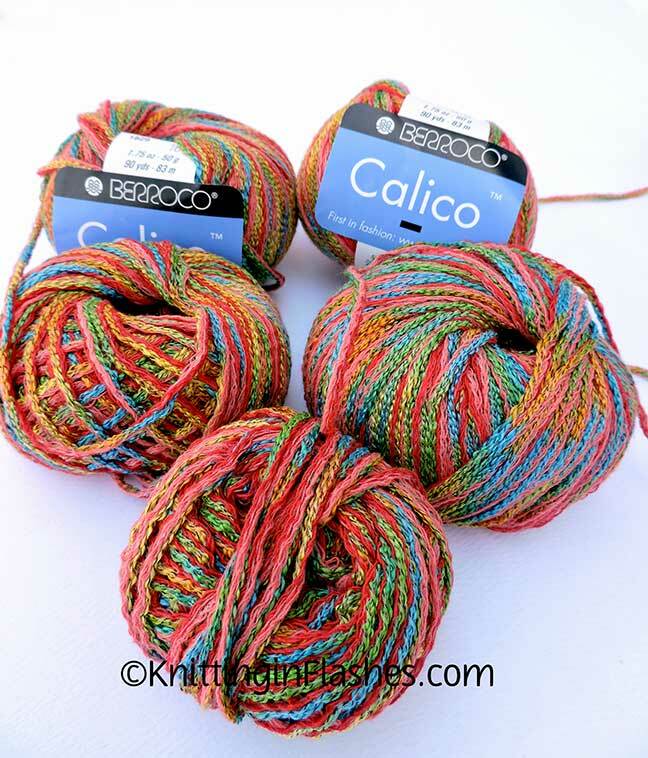 This cotton/acrylic/nylon blend yarn, an Aran weight, is Calico in color 1829. Unfortunately it’s discontinued now but I checked on Ravelry and several people still have some in their stash, too. I know I bought it on sale years ago with no idea of a project what-so-ever. I just liked it. Eight balls of 90 yards isn’t enough to make much but that’s all that was available. 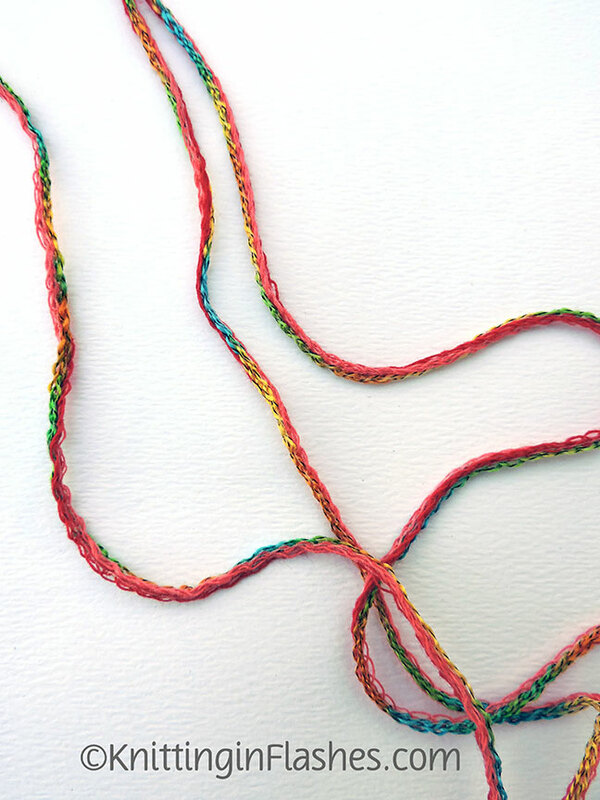 The matte red and coral colors are on one side of the strand and the shiny blue, green, gold and orange colors run down the other side so when it’s knitted up, the yarn twists and makes an interesting fabric. I searched through Ravelry for patterns as well as magazines, old books and booklets and found nothing I loved in that yarn weight and yardage. So after swatching, I took elements from two patterns to make my own. Lace Hem Topping and Drops 90-18. The back is finished. No color pooling, just fun. 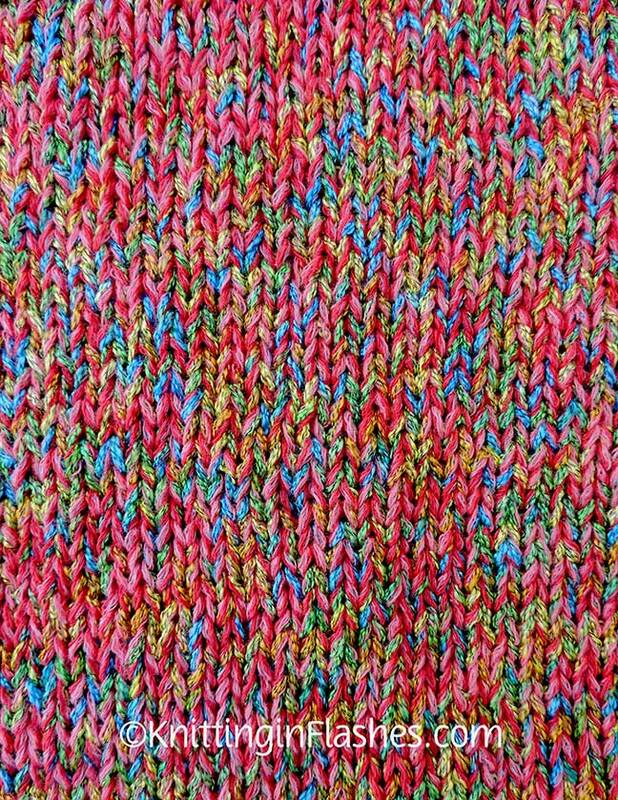 Above is one side using the stockinette stitch and below is the reverse. 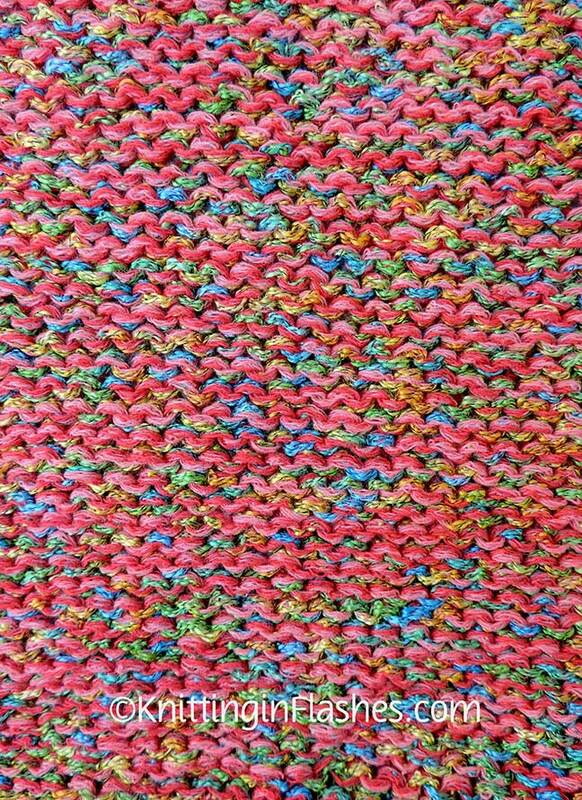 This entry was posted in knit, knitting, knitting pattern, pattern, sweater, yarn and tagged knit, knitting, pattern, sweater, yarn by Patti_is_knittinginflashes. Bookmark the permalink. I like how that works up – it looks like a bright, fun top!